WASHINGTON (CNS) — Nearly 3,000 Hispanic ministry leaders, like Dominican Sister Judith Maldonado, have gone back to their parishes and dioceses to share the ideas and fruits of the conversations that took place at the Fifth National Encuentro in Grapevine, Texas. Another important gain is that the V Encuentro has captured the attention and support of the bishops nationwide. At the gathering, about 125 bishops — Hispanic and non-Hispanic — walked side by side with their diocesan delegations, and about 160 out of 178 Roman Catholic dioceses and archdioceses in the country were represented. “The Hispanic church is asking for formation, they’re asking for support, they’re asking for direction, so it will be on the part of the bishops and pastors to provide that,” Bishop Oscar Cantu told CNS. Formerly head of the Diocese of Las Cruces, New Mexico, he is now coadjutor bishop of San Jose, California. What mostly surprised and pleased Bishop Cantu was the size of the gathering — with over 3,000 participants — and like many others, he was energized by the optimism and drive of the attendees. As a word of advice from Mercy Sister Ana Maria Pineda, who has witnessed all the Encuentros, it is important to connect the previous Encuentros to the current one, while staying focused on the work at hand amid the challenges it might present. 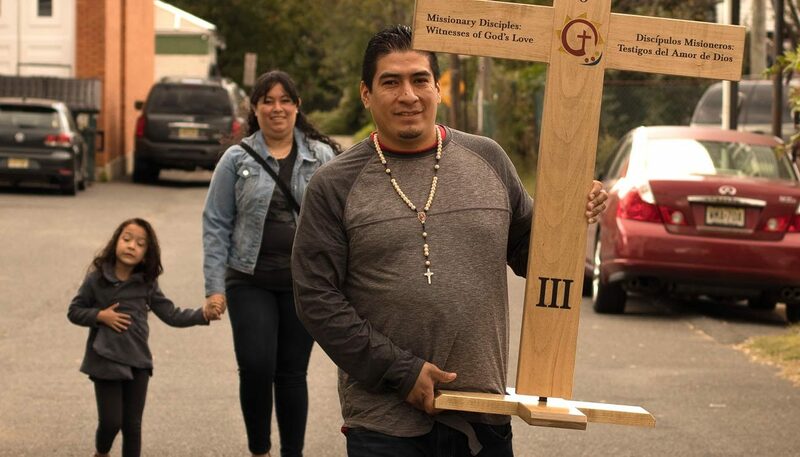 “We’re being called to a very special moment in time and we need to step up to the plate to make sure that we are on the side of the poor, on the side of those who can’t protect themselves.” Sister Pineda said.